Imagine a scenario where, from a simple mobile handset you could pay all your bills, transfer money to friends whether or not they have a bank account, buy mobile airtime, use an ATM without a card and complete an e-Commerce transaction safely. Imagine that you could do all these transactions simply, safely and quickly, without needing the latest Android or iPhone, and without even needing to have a bank account. This scenario would be near impossible in most developed markets, but it has been a reality in countries like Kenya, Cambodia and Bangladesh for a number of years. And it appears that in countries like the United States, it could become a reality very soon as well. 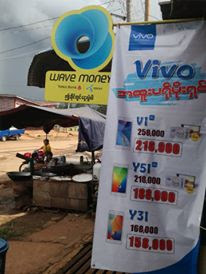 Mobile money in developing markets has been a phenomenon. M-Pesa in Kenya attracts many of the headlines, with two thirds of the population now subscribed, however in Bangladesh bKash has seen amazing growth with over 11 million accounts within 30 months from launch. In a relatively small market like Cambodia, WING now has the broadest distribution of any financial services provider, and will process upwards of US$4.5 billion in transaction volume this year. Whilst these services differ in minor ways, they all provide customers with the capability to store and transfer money safely, and to pay bills and other payments conveniently. They have successfully removed friction from the lives of the unbanked through innovation and creation of a financial service that is customer centered in its design. Interestingly, they have also forced banks to change their business models and develop new products and services to avoid losing market share. Equity Bank in Kenya is one of the most prevalent in this regard, with development of a Mobile Virtual Network Operator (MVNO) model to improve the ability to compete with Safaricom’s M-Pesa. Let’s imagine a scenario now where you are unbanked or under-banked in a developed market like the United States. It is estimated by the Federal Deposit Insurance Company that a whopping 106 million people in the United States are in this category. In a country with such a significant financial services infrastructure, why are people unbanked, and what are the implications for them? Barriers to financial inclusion included services not being offered in languages spoken by the prospective customer, requests for identification that can’t be met and unaffordable fees. When someone is unbanked in the United States, it means they do not have the ability to build a credit score, which limits their ability to buy a home, invest in education or business and forces them to seek loans at predatory rates from payday lenders and other loan sharks. This business has seen huge growth in recent years, with US$40 billion in loans issued in 2010 and revenues of US$7.4 billion. Retail bankers could never imagine margins like that! Reverse innovation is defined as an innovation that has been firstly adopted in the developing world. This is a counter view for many multinationals that have traditionally focused on innovation for their home markets first, and then have their products ‘trickle down’ to developing markets. In recent times however, the reverse has been occurring, with products specifically designed for developing markets transitioning successfully into developed markets. GE Healthcare produced a US$800 ECG machine for rural India that is now being used in wealthier markets, where the same technology costs US$10,000. This was only possible through effective customer centered design, that focused on the problem but found solutions that greatly lowered cost, including leveraging commercial movie theatre style ticket printers rather then the item normally used. The machine is now sold in 90 countries, both developing and developed. The principles of reverse innovation are being applied to financial services to address the unbanked challenge in markets like the United States. 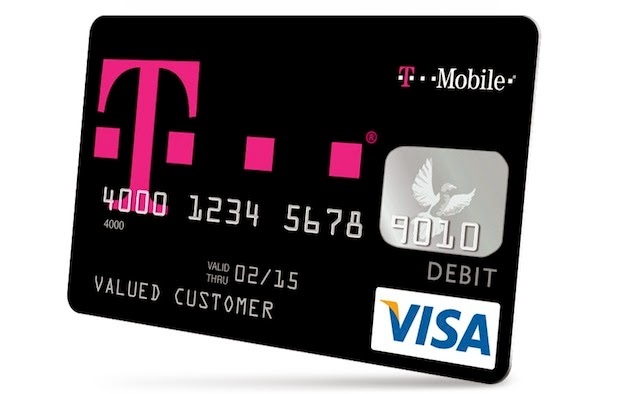 T-Mobile launched its ‘Mobile Money’ service in 2013 with many parallels to similar services in developing markets. The fee-free product allows customers to deposit checks into their Mobile Money account, top up at a nationwide agent network (T-Mobile shops), and withdraw money with a Visa prepaid card through a network of 42,000 ATMs. This service takes out friction for unbanked customers and removes the fees they pay at normal check cashing services in the United States. This year has seen the introduction of ‘Go Bank’, a service offered jointly by retailing giant Walmart and Green Dot, a large prepaid processor with checking products FDIC insured. The new service by Walmart has bankers on edge, as it has been seen as a back door way for the retailer to enter the banking market. Other commentators are of the view however that Walmart are targeting customers that the banks have pushed away or never engaged with. 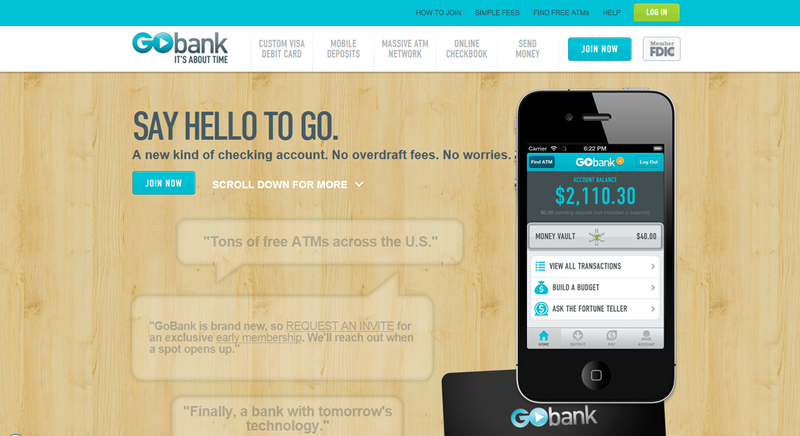 For a customer with relatively simple financial services needs, Go Bank is compelling. After purchase of a US$2.95 starter kit (another reverse innovation from developing markets), customers are able to cash checks, access an ATM network with a prepaid MasterCard and send money instantly to other Go Bank customers, without the need to ever enter a bank branch. Additional innovations targeted at reducing dependence on payday lending include allowing payroll direct deposit customers to get their paycheck early if employers notify Go Bank of a deposit in advance. Whilst unbanked customers benefit from the Go Bank product, Walmart leverages its massive distribution and is able to reduce interchange fees by incentivizing these customers to maintain brand loyalty. These new services in the United States are clearly a reverse innovation from the developing world, and time will judge their success or otherwise. The services have been designed with customer needs at the core, and leverage existing infrastructure such as ATM’s, mobile phone shops and supermarkets coupled with mobile devices to provide a compelling service to the customer. Whether banks openly acknowledge concern at these new financial services entrants, the fact remains that these innovations are likely to move up the demographic curve, and as with the example of Equity Bank in Kenya, unless banks innovate quickly, they will lose market share. Brad Jones was Managing Director of WING Cambodia from late 2007 until mid-2010. He then worked at Visa on their emerging markets mobile strategy in Africa, Middle East and Asia before spending a year consulting to IFC and a number of other clients. He now works in a transformation and growth role for a bank in Singapore. Follow Brad on Twitter @bradjoz. Self-interest plays a role in these new efforts to attract the un- and under-banked. T-Mobile's "mobile money" product seems mostly about cash customers ordering replacement phones and Walmart wants to sell more of its merchandise. When the efforts are more stand-alone, like American Express' SERVE, they lose money. I think it will be more the agent assisted, over-the-counter business (a big part of bKash, from my understanding) that will gain traction with both the longer-term unbanked and with immigrants in the USA, and other developed markets. Younger people who in earlier days might have simply become banked, are to me the group most up for grabs at being "re-banked" (is that a term?) by the likes of SIMPLE, MOVEN and at the end of the day, that money sits ... in banks. All of the above plus 3 times more then this; is allready a reality made by us in EcoCash Mobile Money Product from Econet Wireless here in Zimbabwe and almost 80% adult population use this product.